We teach you everything you need to know to build a successful company. After 2 months you will have a sustainable business model and a prototype. 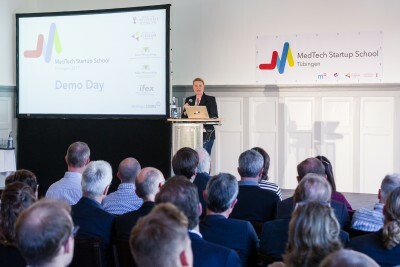 What can you expect from the MedTech Startup School 2019? This is the first time we will all meet. You will get to know all of the organizers and your fellow participants. We will explain you the curriculum and the rules of the game. Moreover, you will get a presentation of all projects that will take part in your class. If you applied with an own idea, this is the moment to find team members. If you did not apply with an own idea and didn’t decide for one yet, this is the moment to choose your project. Would you like to have an impact on healthcare, but so far you have only been at the doctor’s as a patient? We have a close cooperation with the University Hospital Tübingen and can arrange placements in different departments for you. 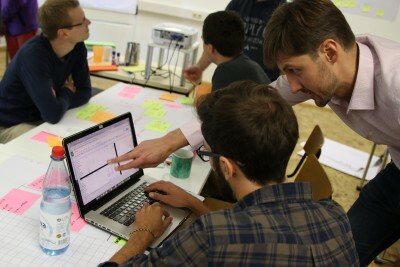 Each Lean Monday is full of insights to further develop your unique business model within your team. 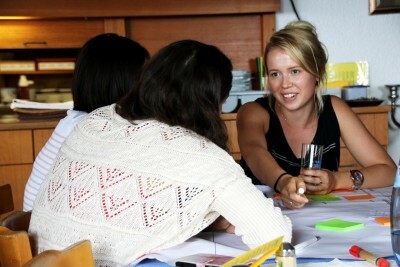 You will also have the opportunity to pitch your milestones, get feedback and discuss your project. On Tuesdays and Thursdays we offer you a variety of hands-on workshops. Here you will learn everything from conducting customer interviews to indepth project management, developing your finance plan, etc. We aim to follow Steve Blank’s claim to “get out of the building” as best as possible so that you can immediately put your learnings into practice. 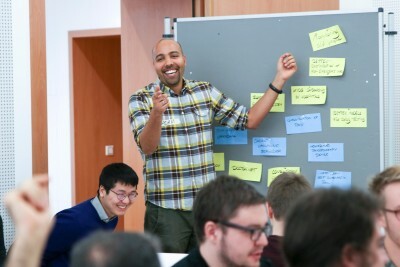 You wouldn’t believe how many funding programs for startups exist in Germany. We selected the most interesting once applicable for the lifescience field and invited important patrons to present their program to you. 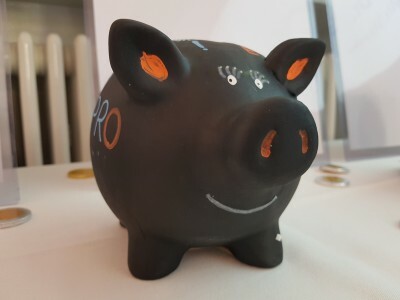 In our 10 + 10 format you will get a general 10-minutes presentation and will receive 10 minutes of individual team consulting with each of the funding program representatives. 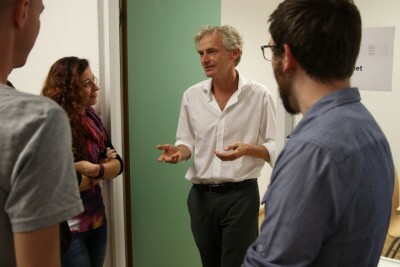 We invite all of our experienced mentors to give you the chance to get connected with each other. Come prepared as you will only have few minutes per mentor to convince him/her of your idea/ project and to receive valuable feedback on your ida/project. Besides, this is your opportunity to find one or maybe even several mentors who might support you on your way! Let’s really get out of the building: to Neubulach! This is probably one of the best part of the curriculum – but also one of the hardest! 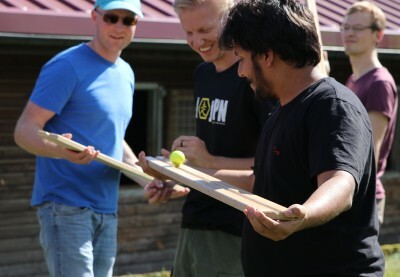 You can expect a highly intensive pitch training, private coaching sessions and a lot of team building activities. This is extremely important because at the Half Time Pitch you will finally pitch your project to a selected and very critical audience for the first time. Participations is voluntary, but we strongly recommend you to participate! Why miss this great opportunity to increase your own pitching/presentation skills and to better get to know each other. This is the first time you will pitch your project to an external audience. We invite some of our partners to give you a feeling for the “real” pitch. They are very critical, but supportive and they will give you valuable advice! This is the last day of our 2-month program and an absolute highlight. 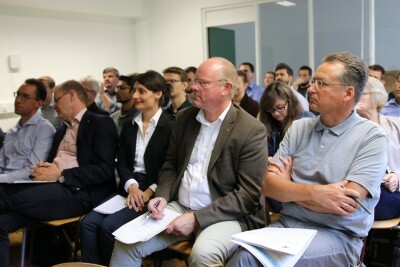 You will pitch your project in front of more than 100 investors, industry representatives and the press. With this final event we will push you out of the nest so you can learn how to fly in the business world. Of course, we want to know what you have been doing since Demo Day! At the alumni meeting in January you will meet your fellow participants and the alumni from different classes. Do you like our curriculum? If you want to stay up-to-date on our public events, please have a look at the section news & events or subscribe to our newsletter! For more information on the curriculum, please send us your questions in an email! Healthcare Innovation Program 2019 – Application open until 15th July! 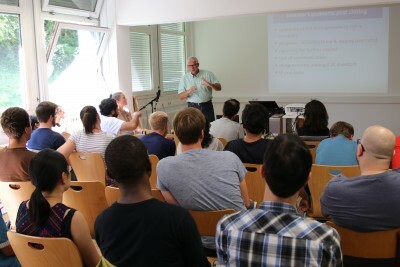 Get a mini-job at the MedTech Startup School!